Tutor that shows how to call ASM routines from C with examples. 1. The Assembled function called is a near procedure. a. Proc name is lower case prefixed with '_' ( eg: _pname). b. Public data is formatted like proc name above. c. C calls omit the '_' prefix when declaring or calling. d. Use MASM option /MX to preserve case in public and externals. e. Use LINK option /DO for MS-DOS segment ordering. f. Use LINK option /NOI for no_ignore_case. 3. MASM declarations to make proc and data (_test, _adat) public. a. public _test, _adat ; Before prog main body. 4. Register preservation for C.
a. All segment registers must be restored. b. bp and sp must be restored. c. si and di must be restored. d. dir flag must be cleared on exit. 5. Passing parameter (only 1 allowed) back to C.
a. 16 bit type in AX. b. 32 bit type in DX:AX. c. Start address (public) of union or struct in AX. d. Start address (public) of float or double in AX. 6. The data segment must be defined as DGROUP (see example). 7. The data segment must be defined as example listing. 8. The text segment must be defined as example listing. 9. Stack segment should not be defined. Use C's stack. a. C_ASM.DOC This text file. b. Demo.c C example source file. 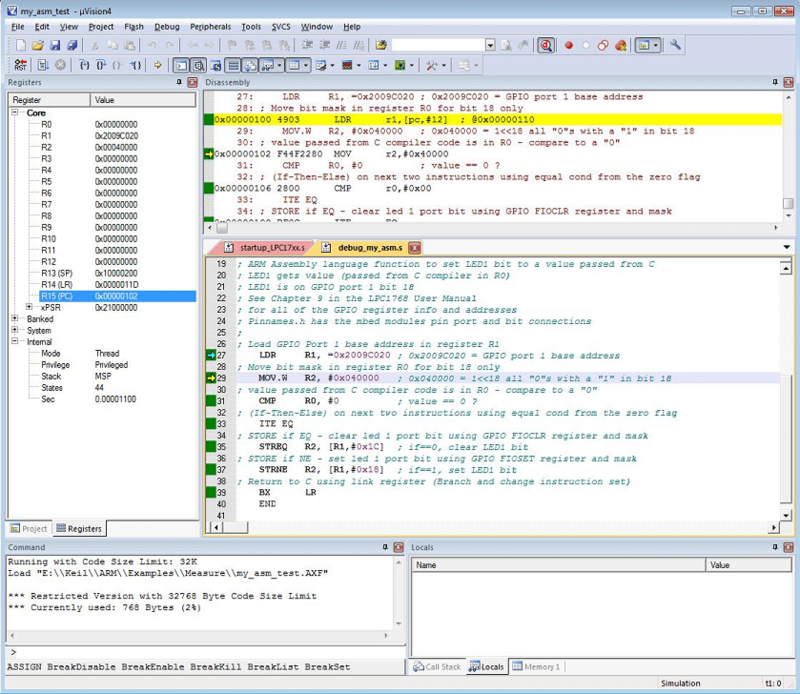 c. Cadd.asm Assembler example source file. d. Demo.obj Linkable object module. e. Cadd.obj Linkable object module. f. Demo.exe The executable final result. and I hope I can save you some time passing on what I learned. Please note that there is no substitute for reading your manual.